This research study from Bulgaria documents how healthcare, social, and education systems in the country organize and encourage early childhood development. The study aimed to: provide an overview of the legislative and political context in which sectors related to early childhood development are currently functioning; insight in the extent to which the healthcare, social, and education systems interact with one another in terms of ECD, and how such interaction is reflected on the existing services and forms of support; estimate the extent to which institutions and professionals involved in childcare at an early age apply a family-oriented approach; present parental attitudes towards the state of the early childhood development systems. The study also addresses the extent to which the healthcare, social, and education systems are driven in their work by the principles of social inclusion in the organization of the provision of care for young children with special needs. The study was conducted during the period from December 2016 to April 2017 using desk research, group discussions (focus groups), interviews, case studies and a quantitative study of parental attitudes. 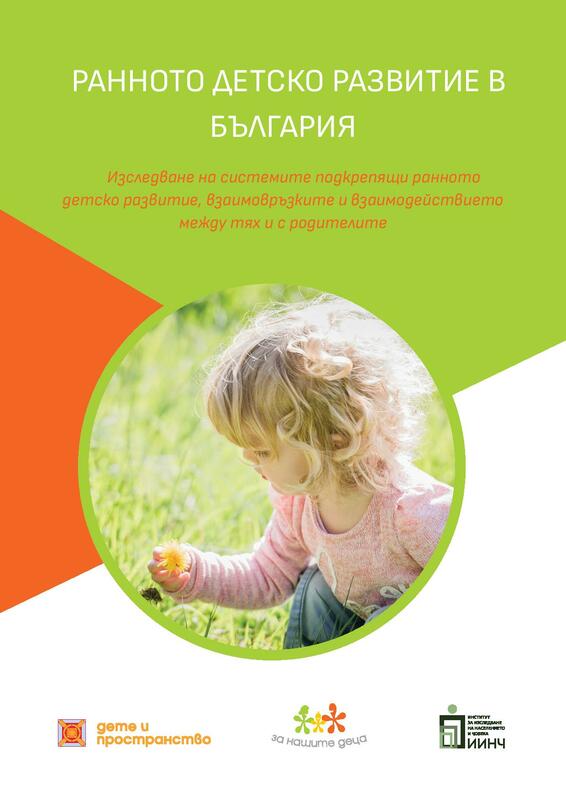 The combination of various methods and locations aimed to ensure a comprehensive and multifaceted study, which takes into consideration different points of view on the policies and practices related to early childhood care in Bulgaria including those of: politicians, decision-makers, experts at national and regional levels, professionals working with children at early ages, service providers, and parents. The study makes a number of recommendations for reforms of the systems supporting ECD. It can be used by policy makers, practitioners and advocates in their work to advance ECD development in Bulgaria, as well as by researchers who are studying the functioning of different national ECD systems.